Welcome home to contemporary living that’s far from ordinary. Located in historic Columbus, Ohio, on the corner of Alkire and Demorest, Alkire Glen is just minutes away from Georgesville Square, I-270, and beautiful downtown Columbus. Our exclusive amenities Include onsite laundry facilities, individual front entrances, and private garages. Take a swim in our pristine pool equipped with a beautiful sundeck or enjoy a relaxing walk around our immaculate, mature grounds. You deserve the best in apartment living, and our community offers an engaging lifestyle for everyone. 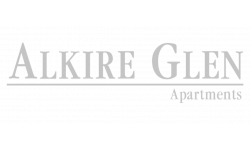 We invite you to visit or contact us to schedule your personal tour of Alkire Glen today! Woof, woof, meow, meow! We love our furry friends. Alkire Glen is a pet-friendly community! There is a non-refundable pet fee of $250.00 for the first pet and an additional $100.00 for the second. Each pet will have a $25 monthly pet rent. Breed restrictions apply.